As explained in 245. 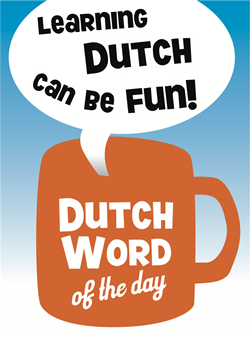 Nek, there are two Dutch words that each cover a different part of the English "neck". There’s "nek", which is the back part of the neck, and there’s "hals", which is the front part of the neck. Since the front part of the neck gradually changes into the throat area, sometimes "hals" can also be translated with "throat". If the distinction between "neck" and "hals" is irrelevant, "neck" is used. This is usually the case and you will mostly encounter "hals" in an expression. – "Zich iets op de hals halen": to bring it on oneself. – "Wat heeft hij zich nu weer op de hals gehaald?!" – "Hals over kop": in a rush, head over heels. – "Ik heb geen idee waar de directeur is. Hij is vanochtend hals over kop vertrokken." – "Halsbrekende toeren verrichten": carry out daredevil feats. Lit. "neck breaking". – "Iemand om de hals vliegen": throw one’s arms round someone’s neck. "Bij zijn terugkomst vloog de vrouw de militair om de hals." – "Halsketting": necklace. The general "ketting" can also translate to chain, as in "fietsketting". – "Zwanenhals": swan’s neck, or a U-trap/gooseneck (under the sink for example). – "Halszaak": capital crime/offence, hanging-matter. Here you will also hear the expression "Ergens een halsszaak van maken": to take something too seriously, turn something into a big deal. – "V-hals": V-neck (w.r.t. shirts).